In recent times, peaceful protests and demonstrations have been marred by violence and political agendas of various anti-government, anti-fascist, and anti-capitalist groups. 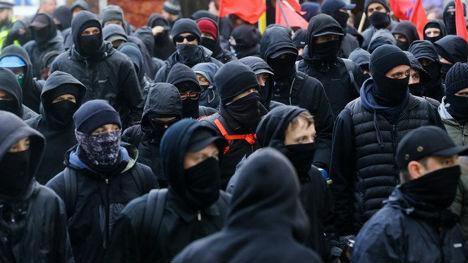 Call them what you like, anarchists, ANTIFA, Black Bloc, or any other title adopted by these groups, their mission is simple; disrupt peaceful protest with intimidation, property damage, and violence. As seen in California during the Berkley protests in 2017, these groups caused significant issues for law enforcement and law-abiding community members in their one-sided approach to spreading their word. What does this mean for you, as a law enforcement entity? You have to uphold the Constitutional rights of those assembled peacefully to present their voice and share their views on topics important to them. No problem. We have established methods for these events which have been time tested and proven effective in continuing the freedoms guaranteed by our founding fathers. Do you have the current ability to protect these people’s rights when anarchy descends on the event? Have you pre-planned civil disobedience response with your officers? Do not be caught off guard. Just as these groups scour the web looking for information on police, you, too, should become familiar with their mission and strategy to create issues for you. It is all out there on various websites. Plan ahead and become familiar with these anti-government groups. Through careful planning, training, and deployment, you can help ensure that the violence and terror does not ruin your community and deny the rights of those peacefully assembled to have their point heard. 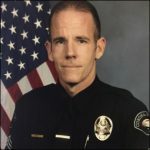 Sergeant Ryan Brett is the Vice President of CALRO and works for the Corona Police Department in Riverside County, California.